In today’s political climate it may feel surprising to have a business owner make such a bold statement at what feels like a simple Saturday morning outing. To those within the food chain, however, recent focus on immigration policy is a constant reminder of how essential immigrant labor and families are to our agricultural economy. Marshall wears his shirt to remind customers who is behind their food. Branstool Orchards and other U-pick and agritourism farms are often the only intersection a shopper might have with the labor aspect of the food system. For one afternoon a year a family will pile into the car and drive to the countryside to pick a bushel of apples before paying the farmer for their work. Picking fruit for the afternoon feels like the perfect fall day but the U.S. fruit and vegetable industry requires a labor force of millions. Marshall Branstool, owner of Branstool Orchards, with one of the signs he displays at his farm market on the farm. Statistics vary and are hard to collect given the nature of a migrant and seasonal workforce but according to industry associations 2.5 million farmworkers are hired annually. This includes those working to harvest fruits and vegetables as well as farmworkers tending to livestock, ranches, nurseries and fisheries. While we may imagine picturesque scenes of fresh fruit being picked from the vine, for these farmworkers work starts in the late winter to plant, prune, thin, mow grass, spray for disease and pests, build trellising, maintain fencing and infrastructure, harvest, grade, wash, pack and deliver product. These daily tasks begin before the sun fully rises and last until it sets 14 hours later. For most farmworkers these long hours do not pay off as they would in any other industry. While Branstool Orchards ensures their employees are paid time-and-half, the agriculture industry is exempt from the overtime provisions of the Fair Labor Standards Act. Farmworkers have the lowest annual family income of any U.S. wage workers—averaging $17,000 to $19,000 a year. Agriculture, by nature, is unreliable and lacks job security. Produce is perishable and needs to be harvested within a small time frame. Many farmworkers migrate to follow the harvest between Florida’s winter citrus, California’s spring strawberries, the Midwest’s summer sweet corn and the Carolinas’ fall sweet potato harvest. About 13,700 migrant farm workers travel to Ohio each year through H2A visa programs alone for orchard work. Most consumers are aware of the notion that “Mexicans pick our food” and in a real sense they are correct. According to the U.S. Department of Labor’s National Agricultural Workers Survey (NAWS), immigrants account for 73% of all farmworkers and the survey showed up to 75% of those were born in Mexico. The NAWS survey reported 47% of those foreign born are undocumented immigrants, but farmworker justice surveys have shown up to 70% of the workforce goes undocumented. This is a wide range and no matter which survey results one accepts it still leaves a large portion of the workforce vulnerable. Fruits and vegetables are not the only products that require a large immigrant population. The poultry, dairy and meatpacking industries depend on immigrant labor. More than half of all dairy workers in the U.S. are immigrants, according to a 2015 industry-sponsored study, and farms that employ immigrant labor produce 79% of the nation’s milk with over half of the immigrant labor coming from Mexico. Declining rural populations, increased herd sizes to increase farm income and family members seeking off-farm jobs for health insurance purposes has shifted family dairy farms to hired staff over the last 20 years. Dairy workers account for the highest-paying farm labor jobs. In Licking County, Stacey Atherton of Shipley’s Dairy Farm simply says, “We do not look at our immigrant labor as cheap labor. In fact, we look at them as dependable and hardworking employees.” In this competitive labor market, employees make almost double minimum wage and have stayed employed for over a decade on the farm. Stacey has worked hard to learn Spanish to create a better work environment for everyone. Photo 1: Heading out to the orchard for a days work. Photo 2: At Shipley’s Dairy Farm. Most consumers may assume the nationality of those employed to harvest their food but most are unaware that an estimated 430,000 under-age children are working in the fields. U.S. labor laws provide no minimum age for children working alongside their parent on small farms with their parent’s permission. Children may work for hire on any farm with parental consent from age 12, and there are no legal limits on the hours children can work in agriculture outside of being enrolled in school fulltime. Industry studies have shown 25% of our food picked in the U.S. is by children as young as 6 years old. For these children, they will go to school and then join their parents in the field through the afternoon and weekends, often working over 40 hours a week. It is a common misconception that these standards are higher for certified organic produce but the certification process does not have any labor conditions incentives. Our country’s desire for the cheapest food possible, competing with imported goods, has led to a human rights crisis in our fields. For Columbus Rabbi Jessica Shimberg it was an article similar to this in a 2001 Gourmet magazine that opened her eyes to whose hands were picking her food and the privileged role she had held in the food system. The article was one of the first mainstream publications to shine a light on the work of the Coalition of Immokalee Workers (CIW). The CIW is a worker-based human rights organization organizing the farmworker community since 1993, and was reinforced with the creation of a national consumer network in 2000. In 2011, CIW launched the Fair Food Program (FFP), which focuses on a Worker driven Social Responsibility (WSR) model based on a unique partnership among farmworkers, Florida tomato growers and participating retail buyers. Companies such as Taco Bell, Whole Foods, Trader Joe’s and more have signed on to this agreement to pay one penny more per tomato and purchase from ethically responsible growers. Other firms continue to resist joining the agreement. As a rabbinical student, Jessica began to consider more about what it meant for her to keep kosher, not just to obey scriptural laws but also as a spiritual practice of blessing those who cultivate and harvest the food. Through this introspective learning, Jessica connected with T’ruah, an organization that brings a rabbinic voice and the power of the Jewish community to protecting and advancing human rights in North America. In October 2012, Jessica spent time in Immokalee learning from the CIW and has worked, locally and nationally, as part of T’ruah’s Tomato Rabbis (#tomatorabbis) ever since. Rabbi Jessica’s work as the spiritual leader of The Little Minyan Kehilah has allowed her to connect and organize with other Central Ohio faith leaders and with the active Ohio State University Farmworker Alliance. The OSU chapter is a part of a national network of students and youth organizing in partnership with the CIW. Students Rachael Birri and Alex Hoey have been organizing with students on campus. Students volunteer to educate, organize, train and demonstrate the plight of the farmworker. Each year students host farmworkers from Immokalee to share their story. The CIW has been fighting for over 20 years, longer than some student organizers have been alive, but the students say they are not disillusioned and instead view the work of the CIW in holding space in a larger movement inspiring and renewing every time they take action together. The work to create a fair food system involves protesting with your food dollars every day. Simple choices make a difference, such as buying in-season produce, especially avoiding imported and out-of-season berries. Buy directly from producers where you can ask about farmworker conditions and seek out farmers like Stacey and Marshall who respect their employees and are grateful for their labor. Joining a CSA program and purchasing meat and dairy products from those who utilize independent meat processing facilities also helps. To get involved in Central Ohio visit: Ohio For Fair Food and Farmworker Justice on Facebook. And to learn more, Rabbi Jessica recommends reading I’m Not A Tractor: How Florida Farmworkers Took On the Fast Food Giants and Won (2017) by Susan L. Marquis. The book chronicles how farmworkers have greatly improved their working conditions on farms and more. JEFFERSON CITY, Mo. – Buoyed by a string of electoral victories during President Donald Trump’s first year in office, Democrats will be waging a renewed battle to wrest control of Congress from Republicans this year. Yet the contests with the greatest long term consequences for Congress could be elsewhere on the ballot — for governors and state legislators who will shape the boundaries of congressional districts for the decade to come. While Democrats also have drawn congressional districts to their advantage, the AP’s analysis found nearly three times as many states with Republican tilted House districts among the two dozen most populated states that determine the vast majority of Congress. A total of 36 governor’s races are on the ballot next year, though two of those are to fill out two-year terms. The GOP will be defending 26 governorships in 2018, nearly half of which will be open because incumbents can’t or chose not to run again. Democrats will have nine governorships on the ballot. Alaska Gov. Bill Walker, an independent, also is up for re-election. Republicans control two-thirds of all state legislative chambers and hold a trifecta of the governor’s office and both legislative chambers in 25 states, compared with just eight for Democrats. 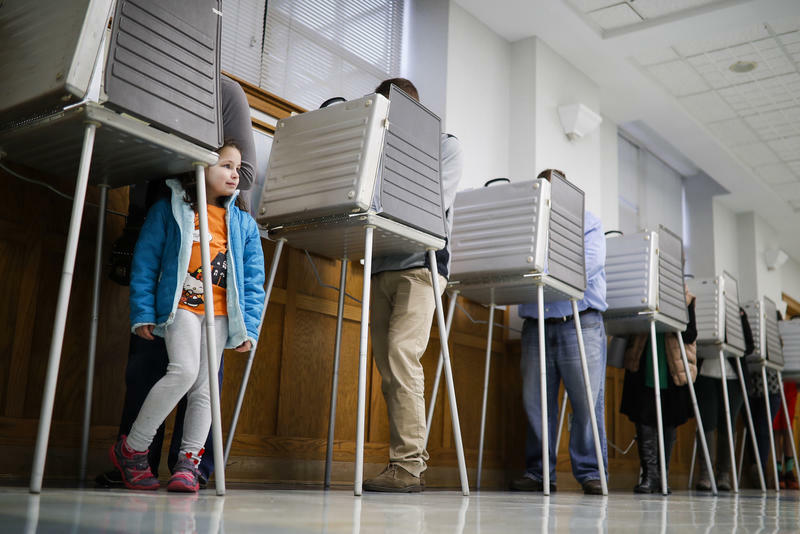 In places such as Illinois, Republicans will be hoping to re-elect a GOP governor who could counteract a Democratic-led Legislature during redistricting. Elsewhere, such as in Pennsylvania, it’s Democrats who are hoping to re-elect a governor to offset a Republican- led Legislature. Gains by the minority party in either of those states’ legislatures also are important, because they could prevent the majority from overriding a gubernatorial veto of redistricting maps. Maryland, by contrast, has been traditionally dominated by Democrats, who used a governmental trifecta to draw pro-Democratic congressional districts after the 2010 census. But it’s now led by Republican Gov. Larry Hogan, who holds generally favorable public approval ratings heading into the 2018 elections. Hogan declined to say whether redistricting makes his re-election more important for Republicans, noting instead that he will continue to push for creation of a nonpartisan redistricting commission. The U.S. Supreme Court is weighing challenges to Maryland’s congressional map, as well as to a Wisconsin state Assembly map that favors Republicans. The Ohio state legislature is trying to undermine our efforts to end gerrymandering by putting a watered-down version of redistricting reform on the May ballot. Their proposal will likely leave the legislature in control of drawing the congressional district map. We need an independent commission to take charge of the map. Legislative action is imminent. Please choose one of the following options. And please share this email with your friends. I’m an Ohio voter, and I care about redistricting reform. I’m calling today to let you know that I will be keeping an eye on what the Congressional Redistricting Working Group proposes, and I hope it will be meaningful, real reform — something I can support and, ideally, something very similar to the Fair Congressional Districts for Ohio proposal. COLUMBUS, Ohio — Joseph Helle was expecting a different sort of reception when he returned home from Army tours in Iraq and Afghanistan and showed up to vote in his small Ohio town near Lake Erie. Helle said he had no idea his name had been dropped, and said he mailed in absentee ballots in some years and not others. His local elections board said it has no record that Helle voted while he was away. But even if he hadn’t voted, Helle said opting not to cast a ballot should be a voter’s choice and shouldn’t be penalized. Election day 2016 in Cincinnati, Ohio. Five years ago, few people in Ohio were paying close attention to the claim that political consultants – armed with partisan power, increasingly sophisticated computer technology and big data – were in a position to hijack democracy. Critics like Carrie Davis of the League of Women Voters looked at Congressional maps, drawn largely in secrecy by Republican state lawmakers, and issued a warning. But voters repeatedly turned down proposals to change the system. That may be changing – not just in Ohio, but around the country. A Wisconsin case is before the U.S. Supreme Court. A voter initiative is underway in Michigan. Lawmakers are debating change in Pennsylvania. And California has replaced politicians with a citizen commission. In Ohio, voters reset who draws Statehouse districts in 2015. Now, Ohio’s Congressional map is the target of the next redistricting reform campaign. Right now, the League of Women Voters is collecting signatures from holiday shoppers for the Fair Congressional Districts For Ohio ballot issue, which would turn Congressional map-making over to a political commission with requirements for bipartisanship and transparency. Meanwhile, a state legislative working group also is talking about reform – though perhaps preserving lawmakers’ role. The League of Women Voters say they’ve collected half of the more than 300,000 signatures they need to bring an amendment on redistricting reform before voters. 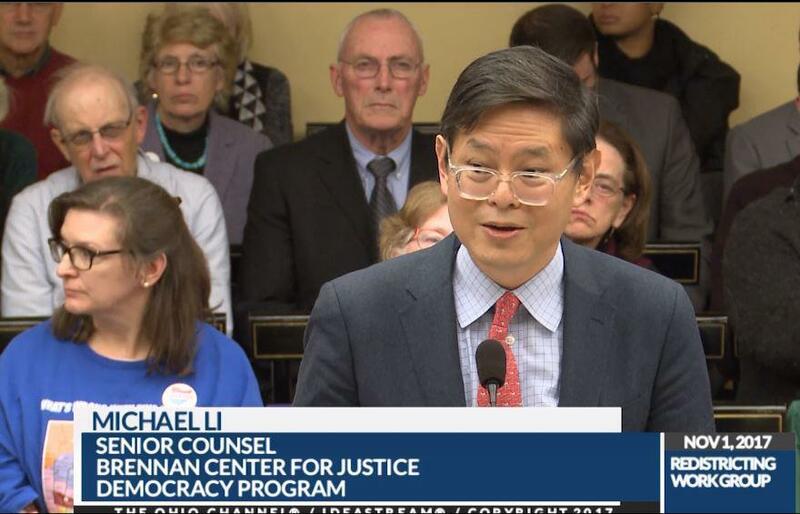 Michael Li, of the Brennan Center for Justice, testified before the working group about the center’s recent study of Congressional districts. It found nearly all gerrymandering was concentrated in Ohio and six other states: Michigan, North Carolina, Pennsylvania, Virginia, Florida and Texas. And all states where mapmakers have particular power. To understand why, Li points to a precinct map: thousands of dots shading slightly Democrat or slightly Republican. ”It’s that light pink and that light blue that gives political operatives the ability to slice and dice and then artfully recombine voters in a way that puts the thumb on the scale and gives one party or the other an advantage,” Li said. 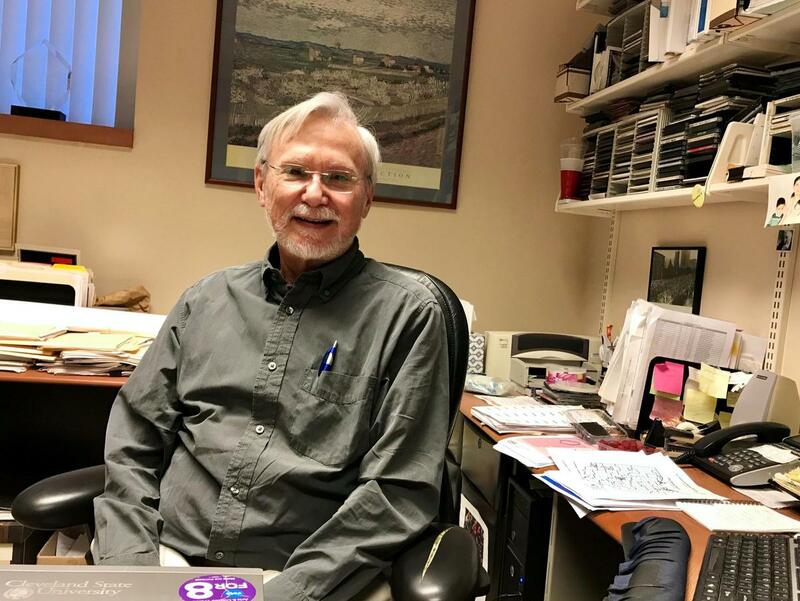 Mark Salling, a geographer and research associate at the Levin Urban College at Cleveland State University, spent three decades developing the database of Census data and election results used in Congressional mapmaking. Geographer Mark Salling helped create the database used to draw Congressional maps. He says three decades later, it’s been used for more partisan ends than he hoped. Instead of being used in a nonpartisan way, that voter data went through increasingly sophisticated computer programs, giving the party in power the results it wanted. And Michael Li warns far worse is coming. 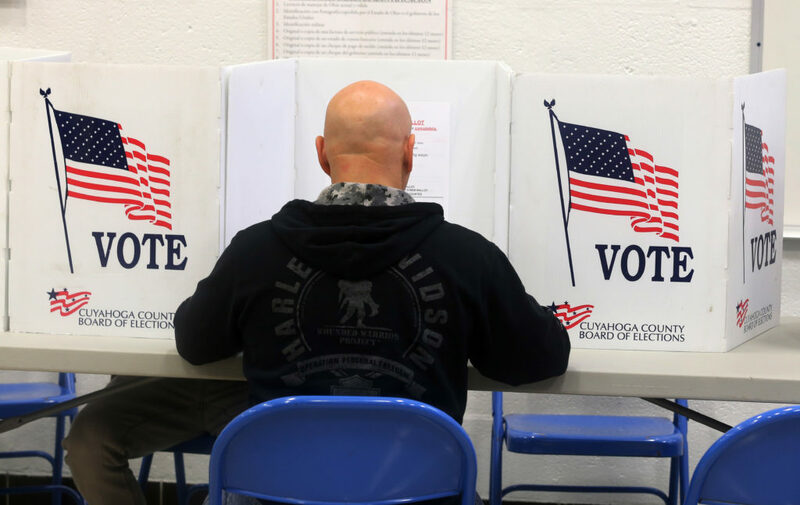 “We will, in 2021, have data at the individualized level based on what you search in Google, based on your credit score, based on what kind of car you drive, and that will make it possible to be even more artful in slicing and dicing voters,” Li said. Much of the national call for change has been focused on that map-drawing process. This week, a group in Michigan submitted more than 425,000 signatures to get an issue on the ballot to replace state lawmakers with a 13-member citizens’ commission of Democrats, Republicans and independents. Republicans call it a disguised Democratic Party attempt to gerrymander. But Li said a similar commission took over in deeply blue California. Michael Li of The Brennan Center for Justice warned Ohio lawmakers at a hearing last month that data wars in 2021 will dwarf the problems with the current maps. Catherine LaCroix, who’s been petitioning for the League of Women Voters since the summer, says passion – and their list of voter signatures – is growing. She dreams, although tongue-in-cheek, of one name that’s missing from her list: U.S. House Speaker John Boehner, who helped engineer Ohio’s current map. 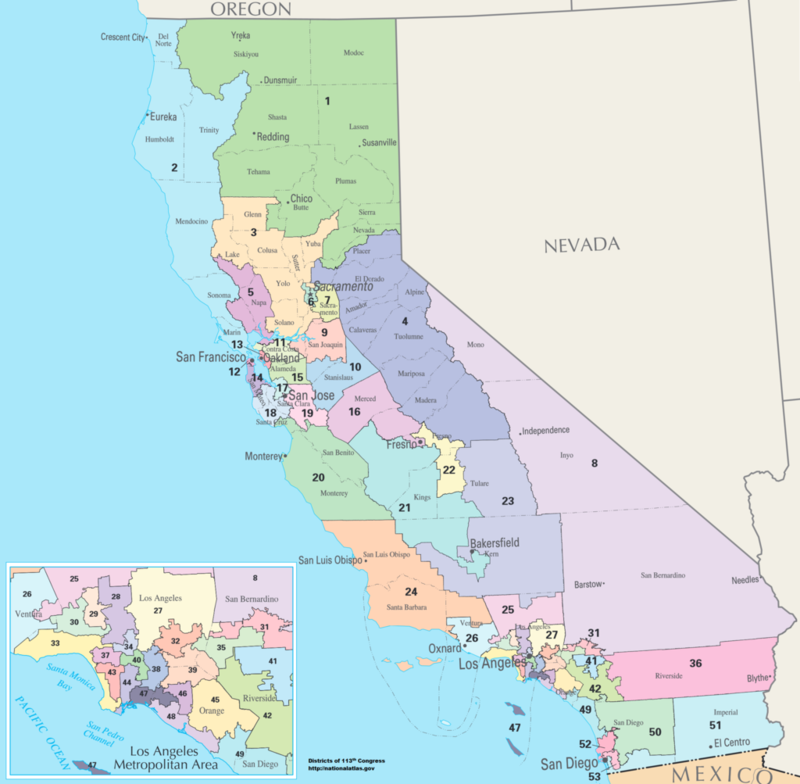 California: An independent commission, established in 2008, draws Congressional and state legislative lines. The commission has 14 members: five Democrats, five Republicans, and independents. Criteria for commissioners include participation in elections and length of party affiliation, and prohibitions against lobbyists and political staffers, consultants and contributors. To approve a map, nine of the commission’s 14 members – including three Democrats, three Republicans and three independents – must vote for it. 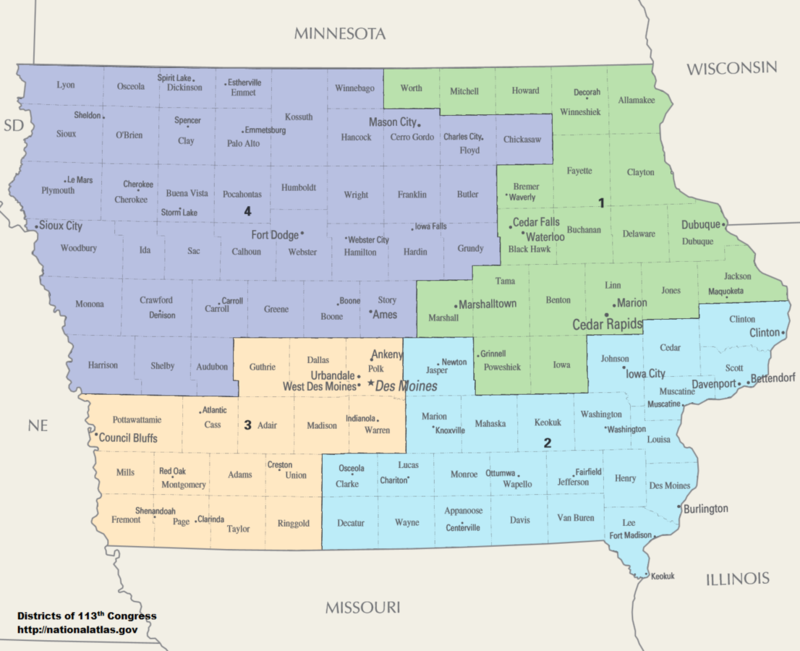 Iowa: The nonpartisan Legislative Services Agency, aided by an independent commission, drafts Congressional and state legislative district boundaries that lawmakers approve or reject but cannot alter. If the legislature rejects the plan, the LSA must draft a second proposal. If the legislature rejects the second proposal, the LSA drafts a final set of maps. Only then can the legislature draw its own maps, but that has never happened. 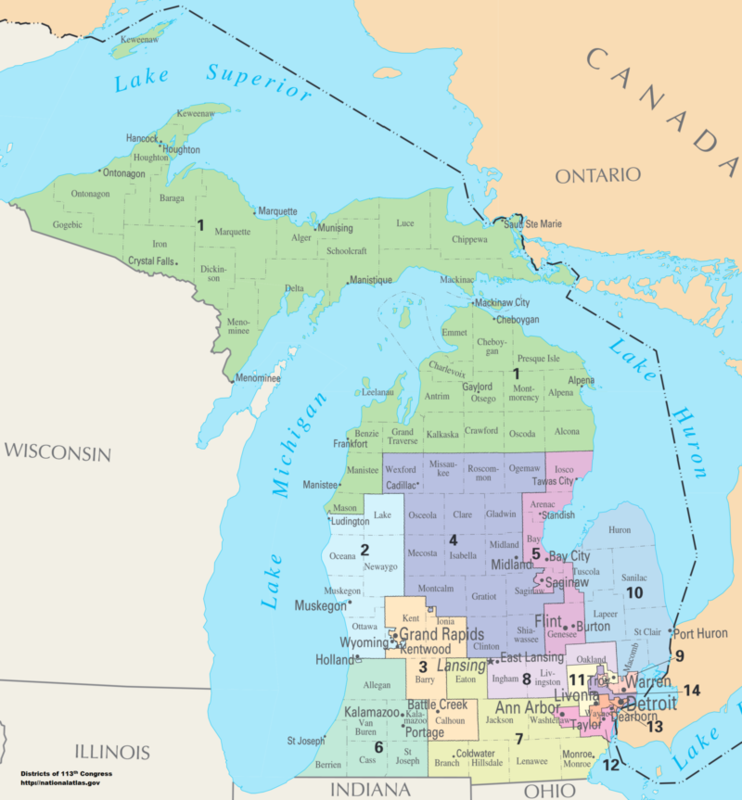 Michigan: Voters Not Politicians turned in 425,000 signatures to get a ballot issue before voters next year to replace state lawmakers’ role in drawing political boundaries with a “citizens’ redistricting commission.” It needs 315,654 valid signatures to qualify. Missouri: Clean Missouri, a coalition of unions and progressive groups, is campaigning for a constitutional amendment on next year’s ballot that would require a statistical model for redistricting. A nonpartisan state demographer would draw legislative lines that lawmakers would approve. The coalition must collect just over 160,000 signatures by May. 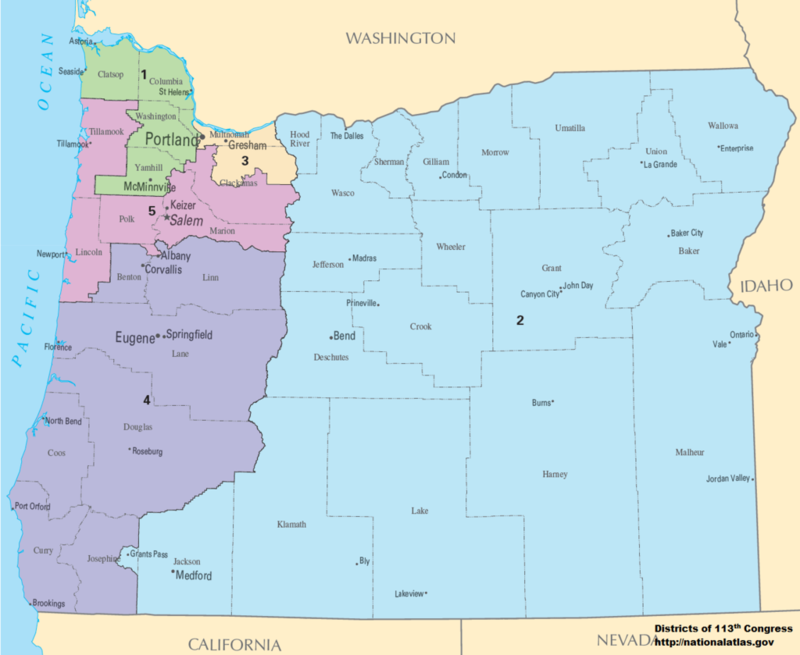 Oregon: Fair Redistricting Task Force, led by Secretary of State Dennis Richardson, was established in February to study best practices of redistricting reforms. It released a report in October recommending an 11-member commission to draw maps, implementing procedures for public input and hearings during the map-drawing process, and using ranked-order criteria. A constitutional amendment needs at least 117,578 signatures to qualify for the ballot. South Dakota: A proposed constitutional amendment by Citizens for Fair Elections would implement a nine-member independent commission to draw state legislative boundaries beginning in 2021. No more than three of the members could be from the same political party. The amendment specifies that party registration, voting history, and residency of incumbents or candidates may not be considered in the map drawing process. The commission would also be required to publicize draft maps and accept written comments before adopting a final plan. The coalition has submitted more than 34,000 signatures to the Secretary of State; nearly 28,000 of them must be valid to make the ballot next year. 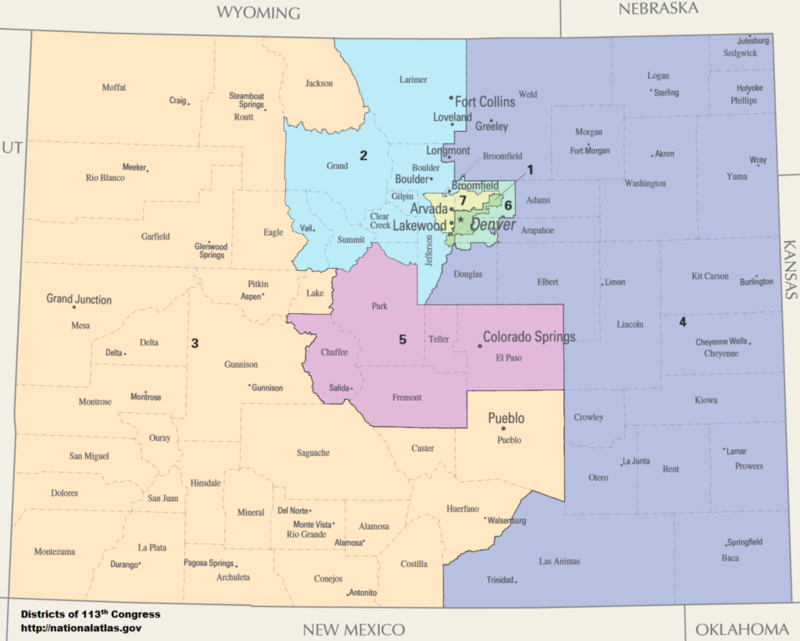 Colorado: Fair Districts Colorado plans to run a package of ballot initiatives to create an independent commission to draw Colorado’s congressional and state legislative lines. Two of the draft proposals would put redistricting in the hands of a 12-member citizens commission; a third proposal would include both lawmakers and citizens on an 11-member commission. Both commissions would include unaffiliated voters. The proposals require a supermajority vote, including at least one independent commissioner, to adopt a final map. The commission must also conduct a series of public hearings. Utah: Utahns for Responsive Government wants to create a seven-member redistricting commission to advise Utah lawmakers beginning in 2021. The commissioners would be appointed by the governor and legislative leaders and must follow ranked-order criteria to draw districts. 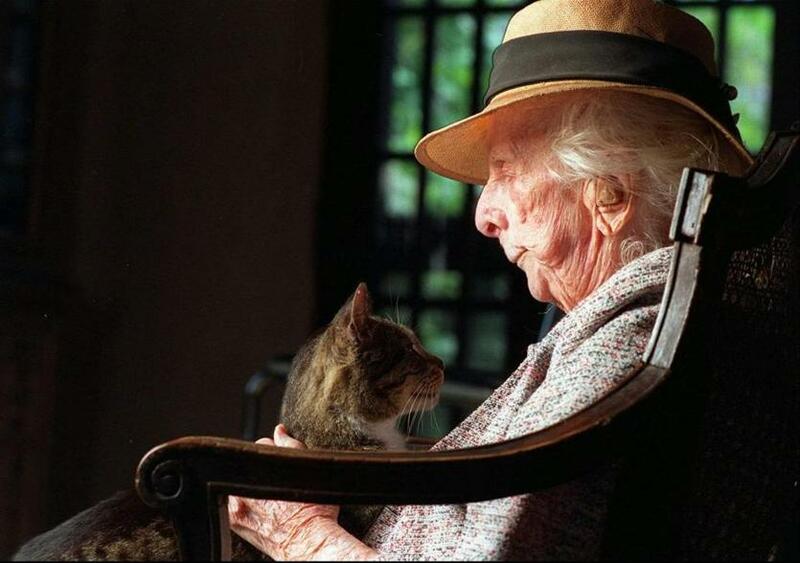 Priority would include preserving communities of interest and neighborhoods. The proposal would also prohibit the commission and the legislature from considering partisan political data unless necessary to comply with other redistricting criteria. Edit or delete it, then start writing! Several posts can be shown in the right column. This is a blog page that we do not have to use. Just type in your content. It can be sent to subscribers and members. It allows others to comment.